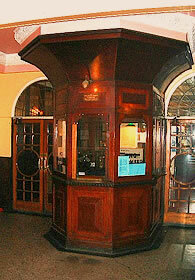 The Worthing Dome is a rare surviving example of an Edwardian 'kursaal'. Literally a 'Cure-hall' in German, the term kursaal was adopted by the British in the 1880s to refer to a building used by visitors at a health resort or watering place and became associated with fashionable leisure centres in a seaside or spa town. Kursaals offered many forms of entertainment under one roof. 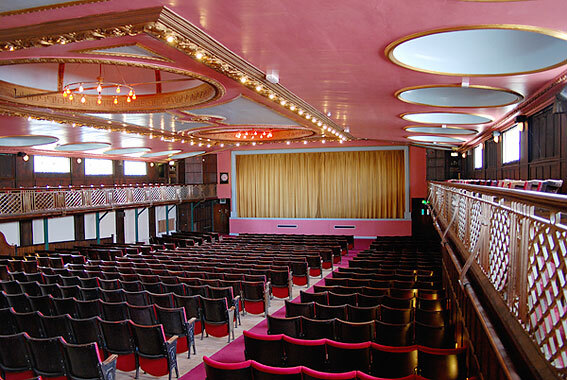 The Worthing Kursaal was the brainchild of a Swiss entrepreneur, Carl Adolf Seebold, who had previously been the actor-manager of the Southend Kursaal*. The building that is now the Dome opened on Easter Day 1911 as a roller skating rink but by October of the same year an 'Electric Theatre' or early cinema had opened upstairs as part of the same complex. The Germanic-sounding name 'Kursaal' was changed to 'The Dome' during the first world war and by 1921 the roller rink had been converted into a 'luxurious picture palace' while the original Electric Theatre upstairs was converted into a dance hall, complete with sprung floor. That in turn later became a Bingo Hall for nearly 30 years before returning to its original purpose as a cinema in 1999. The Dome has had a turbulent and difficult time in recent decades. In 1969 Worthing Borough Council purchased the freehold of the Dome as part of a plan to redevelop the whole seafront area. Consequently it would not grant long leases, and this actively discouraged tenants from spending large sums of money on the maintenance and modernisation of the building. Although this has meant that the building fabric has suffered from neglect, it has also had the effect of preserving most of its original internal features. During the 1980s the Dome came under threat again from a proposed re-development of the site. To pre-empt this plan the Dome was awarded a Grade II listing status and the Dome Trust was set up to try to find a satisfactory future for the building. In 1993 the wiring was found to be unsafe and the cinema was forced to close; with escalating costs for further works required to restore the building, the council was keen to sell the freehold to the highest bidder. 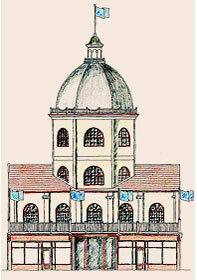 The council was approached with a £1million bid, with plans to convert the Dome into a nightclub. This would have jeopardised the historical and architectural integrity of the building. The Department of National Heritage decided to increase the listing to Grade II*, effectively prohibiting any alterations to the interior whilst at the same time highlighting its historical and architectural significance. 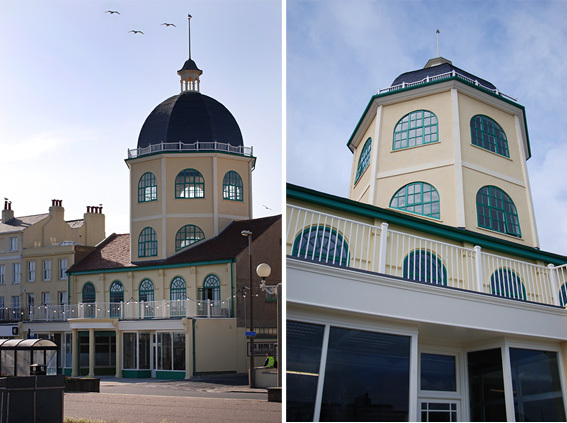 In 1998 The Worthing Dome and Regeneration Trust Ltd put forward its own offer to the council, which was dependant on a successful Heritage Lottery Fund grant application for the refurbishment costs of around £2.5m. It was at this stage that Elspeth first became involved with the Dome, working closely with The Worthing Dome and Regeneration Trust Ltd to produce all the documentation required by the Heritage Lottery Fund in order to secure the grant. Finally, in 1999, the building was allocated £1.75m from the Heritage Lottery Fund and the council relinquished its ownership of the building. 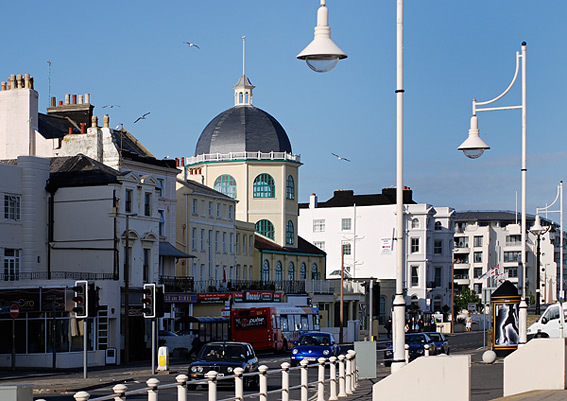 Although this grant was a major step forward, it was only for 75% of the refurbishment costs and The Worthing Dome and Regeneration Trust still needed to come up with the remaining 25% of the costs. This was a daunting task with a building requiring constant maintenance and repairs and with the projected refurbishment costs increasing every year. In 2004 an additional grant was secured from English Heritage and the project was finally given the go ahead. Work started on site in Autumn 2005 and was completed in August 2006. 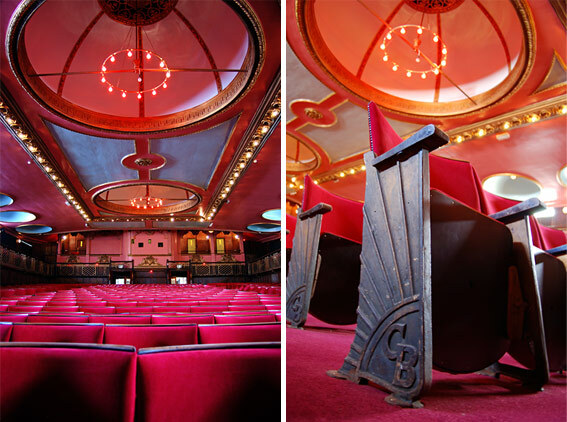 Our aim was to preserve the Dome cinema and to restore and re-open the whole building. I feel it is important to retain the unique character of the building by implementing only absolutely essential repairs to the historic fabric and to retain the eccentricity of the Dome, which has evolved with the passing of time. 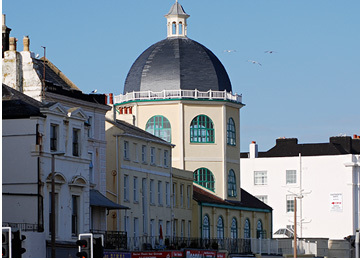 The refurbishment of the building once again provides the local community with an entertainment centre and acts as a flagship project for the regeneration of the whole seafront. Moving with the times, (as the Dome always has), it is a multi-entertainment facility. The restoration has returned the Dome to its 1921 splendour but also incorporates the latest cinema technology. The building now contains two cinema screens, a café, bars, function rooms and two new retail units. The front of the building was completely rebuilt to provide the new café and retail units at ground floor level, while reinstating many of the original features that had been lost over time. There is now a first floor function room with a new terrace. The main dome tower has been converted into a bar and a new kitchen with a further bar has been located in the rear function room. The main cinema has been completely refurbished and now has a 600-seat auditorium. The work consisted of the refurbishment of many of the internal Grade II* listed areas, including the main auditorium, main foyer and the first floor function rooms, with external repairs to the existing building fabric and a new Welsh slate roof. 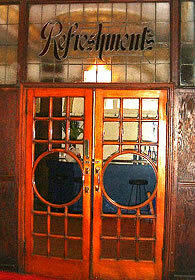 The other main aspect of the works was the complete rebuilding of the front area. The existing roof terrace at first floor level and the original shop fronts at street level were in very poor condition, their deterioration due to the extreme seafront environment. Much of the steelwork was corroded and the existing shop fronts were rotten. The existing concrete roof slab and steelwork were removed and were replaced with a new steel frame and concrete slab. We also had to reconstruct much of the original timber framing to the shop fronts. Major structural strengthening in the form of new foundations to the front of the building was required since the original foundations were discovered to be inadequate. We have also had to carry out extensive repairs to the dome tower and the new dome roof. All the existing render was removed from the Dome tower and was replaced with a breathable waterproof lime-based render. As part of the works we also installed a new disabled lift in order to comply with current Building Regulations; where possible, we upgraded the insulation to the existing building fabric, but in many areas this has not been possible due to the listed status of the building. The Southend Kursaal still exists and has kept its original name.